Pawan Kalyan is constantly busy in strengthening his political party Jana Sena. Pawan announced that he is officially going to contest for elections coming in the next few months. 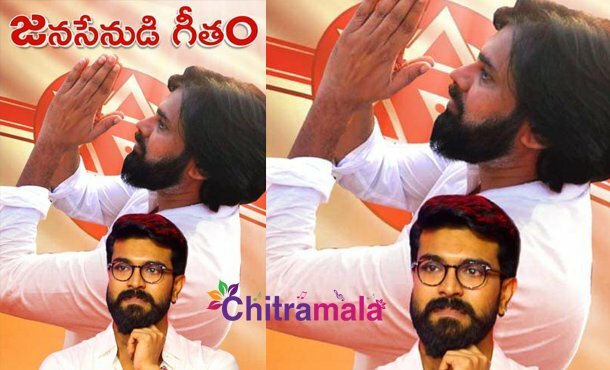 While Megastar has not openly given his support to Pawan Kalyan, his son Ram Charan has been extending his support to Pawan Kalyan from time to time. On the occasion of 70th Republic Day today, Ram Charan has dedicated an inspiring song to his uncle by sharing the link on YouTube. “On the eve of this 70th Republic Day, I’m dedicating this song in fond memory of all the heroes who fought for this nation. Listen and get inspired!! Jai Hind #JanaSenaniOkkadochadu #PSPK #RepublicDay2019” captioned Ramcharan by posting the video.